Kuih Keria is an Asian donuts, the main ingredient being the sweet potatoes. 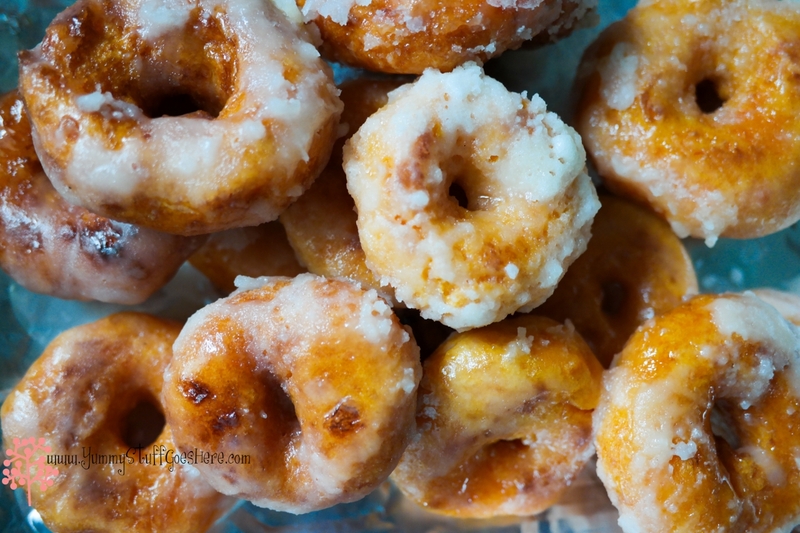 You may also find this snack selling in round shape balls on the streets of Thailand but in Malaysia, it's normally in the donut shape with sugar frostings. 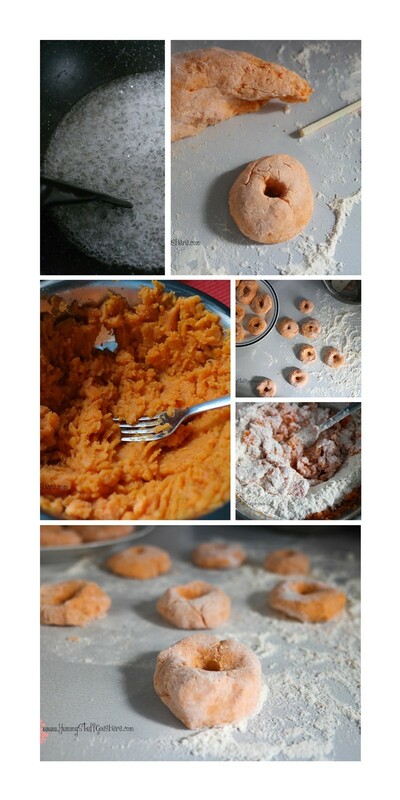 It is crunchy due to the sugar frosting and naturally sweet in the inside from the sweet potatoes. Basically, you would boil the potatoes till soft, mashed them up and add to the flour to make the dough. Then you shaped it and deep fry it and set aside. You would then prepare your sugar frosting and coat them when ready. It is sheer heaven and a delightful afternoon tea snack. I have fond memories of these childhood snacks, best made at home or bought from some Malay stalls in Pasar Malam (nite food market). It is known as "Donut Kampung". Kampung meaning village. So yeah, it is traditionally Asian. Here are the ingredients from Nyonya Cooking. Click on the link for demo. I would just double the ingredients for more servings. Trust me, it is so delicious that you will regret it, if you don't make more.